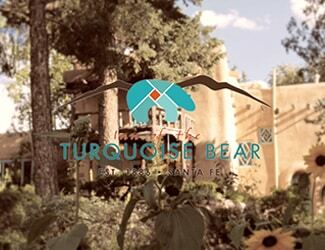 Experience true Santa Fe style and comfort at our #1 ranked B&B! 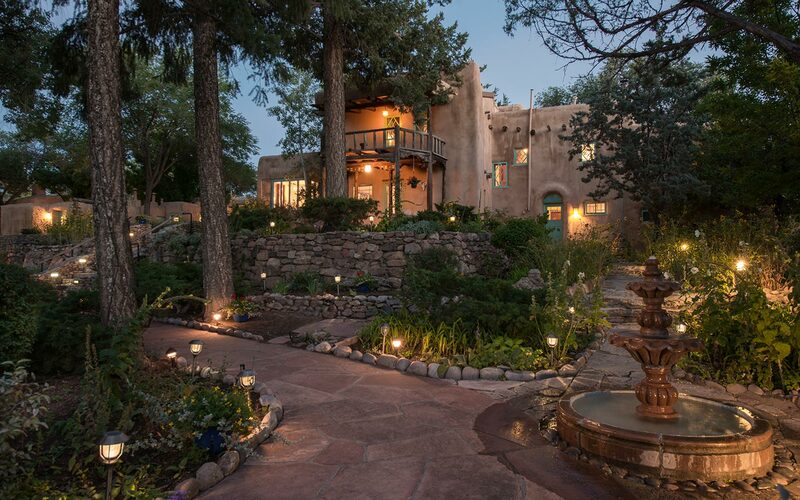 Located on an acre of lush terraced gardens just a short walk from the historic Santa Fe plaza, our Santa Fe bed and breakfast invites you to explore, relax, and rejuvenate. 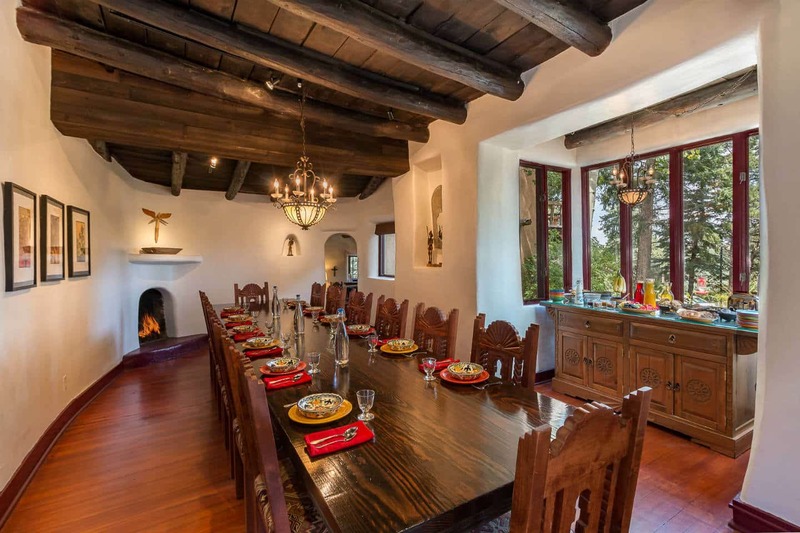 Nestled under towering pines with views of the Sangre de Cristo mountains, this quintessential rambling adobe estate was once the home of Witter Bynner, American poet, writer and scholar. For almost 50 years, Witter helped to shape the richness of the Santa Fe arts culture with his close friends and frequent guests: O’Keeffe, Cather, Millay, Lawrence, Stravinsky, O Henry and many others. 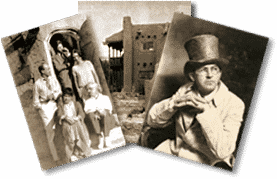 Experience in our 11 bedroom estate the smell of piñon burning in your kiva fireplace, the 40 inch mud adobe walls, meandering stone walkways, and colorful gardens, which inspired these literary and musical legends in their art. 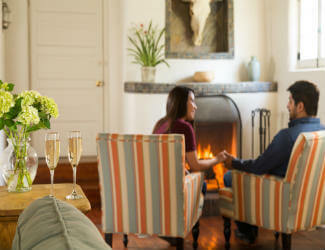 We offer an exceptional Santa Fe lodging experience and also have Santa Fe honeymoon packages. 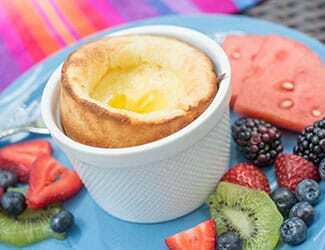 Meet guests and make friends while you delight in scrumptious multi-course gourmet breakfasts and house baked tea-time treats. Just moments away from the Inn, Santa Fe offers world-class dining, art galleries, shopping, performance arts, music, opera, hiking, and skiing. 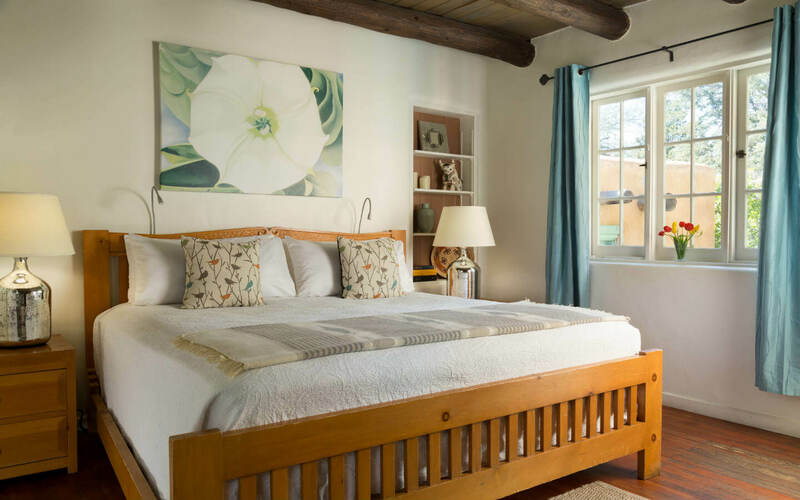 Our Inn is the perfect home-base for exploring the Land of Enchantment including O’Keeffe Country, Taos, Native American Pueblos, wineries, and the endless charms of Northern New Mexico. Our location, beautiful grounds, historic adobe estate, attention to detail, and gracious service sets us apart as one of the best ways to experience Santa Fe…for the first-time or a lifetime. Dating back to the mid 1800’s, this home was host to those who framed Santa Fe’s art & culture scene.